Do I have to be a golfer to stay in this villa? 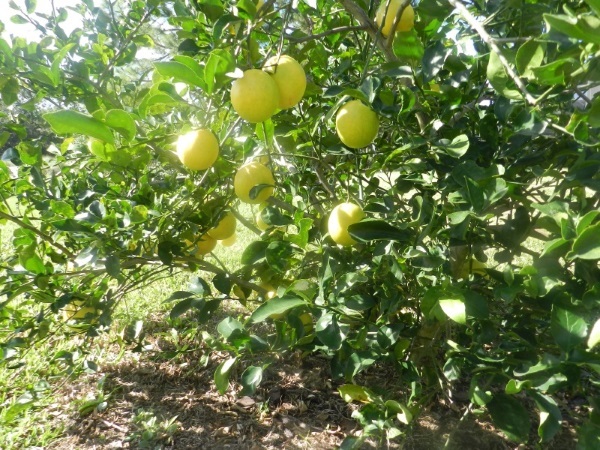 Can I use the lemons on the lemon tree at Florida Breeze Villa? How will I get the key? Is it warm enough to swim in the pool in winter? Do I need to do any cleaning? What if something goes wrong in the villa? What's in the garden at Florida Breeze Villa? Can I see any wildlife from Florida Breeze villa? Aren't there mosquitoes and other bugs in Florida? 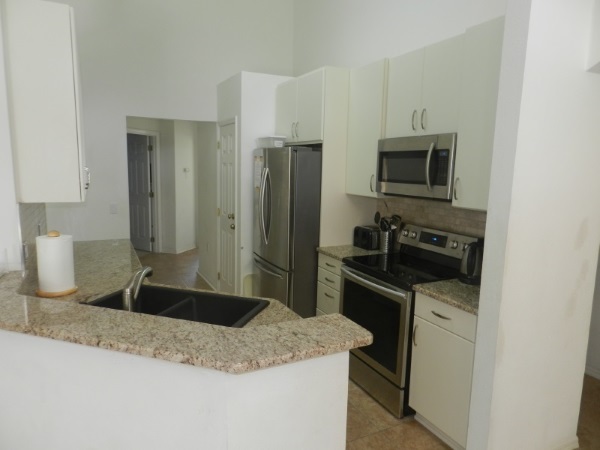 How do I know this villa rental isn't a scam? No. But a big advantage of this villa is that it overlooks the golf course not another house or a 6 foot wall. Of course. We provide a recipe for lemonade. You only need to get some sugar. The villa has a lemon squeezer and a jug. You can cook with the lemons, too. You can request a quote in UK pounds, US dollars, Canadian dollars or euros. We take payment in any of these currencies either by bank transfer or by cheque. The front door has a keypad. Once you have paid in full, we will give you a code to open the door. There's an automatic light outside the front door. No keys to lose, just a code to remember. Almost certainly yes. All our guests do rent a car, but you could manage without if you just want to laze by the pool, and don't mind a 10-minute walk to buy food. 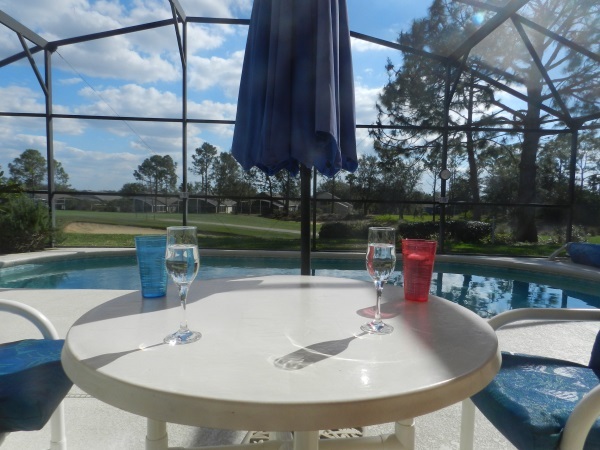 Contact us for information about how to get to Florida Breeze Villa from the airport. Our pool can be heated, so you can swim at any time. Note that we do charge extra for pool heating to cover the high cost of running the heater. The villa is cleaned for your arrival and after you leave, at the owners' expense. We provide a vacuum cleaner, mop etc in case you need them during your stay, or we can arrange a cleaning service (at extra charge). Our management company deals with any problems. Their phone number is prominently displayed in the kitchen. We also provide a comprehensive guest book with instructions for appliances, health and safety information, and guides to local shopping and attractions. Gorgeous most of the time. You can eat breakfast by the pool most days in winter. It's a bit warmer in summer, but the villa is fully air-conditioned and you can cool off in the pool. There's an umbrella sunshade on the patio. Yes it does, but it usually rains hard for a very short period, then the sun comes out again. If it is raining, the villa has 5 TVs, games and high-speed broadband (own laptop or other device required). Yes, they do occur in Florida, but only very rarely. Our villa is built to withstand them, but in any case hurricanes do most damage near the coast. If you've never seen the weather forecast before in the USA, you'll marvel at its accuracy. Our patio garden has a bird of paradise plant. It flowered for the first time in 2011. There's a rosemary bush - use some sprigs in your cooking. In the front garden there's a beautiful tropical stromanthe with pink and cream leaves, hibiscus and azaleas, and a ginger plant (not edible), trinettes, miniature swiss cheese plant, variegated hibiscus and more. And palm trees, of course. 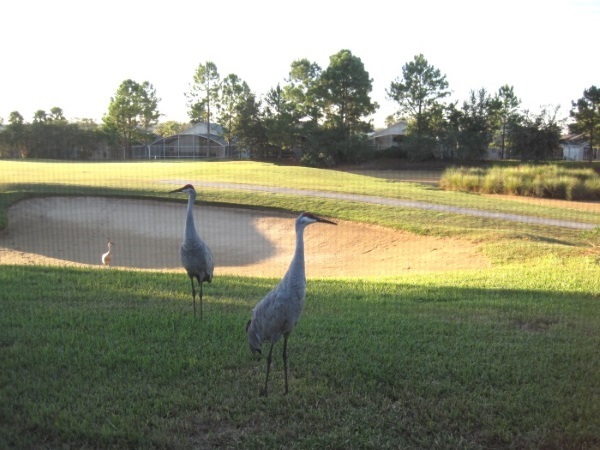 Southern Dunes has resident sandhill cranes. They visit our back lawn from the golf course as there are no trees blocking the way. Sometimes a flock of egrets comes, too. With luck, you might see see a bald eagle soaring in the sky, or an osprey nest in the Walmart car park. You're safe from alligators at the villa, but there are plenty in the lakes in Central Florida. Yes there are insects, but our pool area is completely screened. You can sit out without being bothered by bugs or other wildlife. Scams for villa rentals do exist. We've been renting out our villa for over 16 years now. If you're really worried about a scam, before you confirm your booking, we can send you a link to our entry in the Florida Polk County Property Appraisers Database which shows that we are the owners of the villa. Martin is a retired chartered accountant and CPA. Susan is a retired university professor. Google our names to check us out. Average temperature in winter is 73°F.